Robert ponders how to decide whether to zig or zag. On the news front, we cover the reason why a number of publishers are cutting their own advertising, and how Fender is taking a page from “Killing Marketing” by offering guitar lessons. I cut in early to rant about the bad advice Gary Vee’s latest post offers to marketers, then Robert chimes in to rant and rave about programmatic and Deloitte. We wrap up the show with an example of the week from UBS. 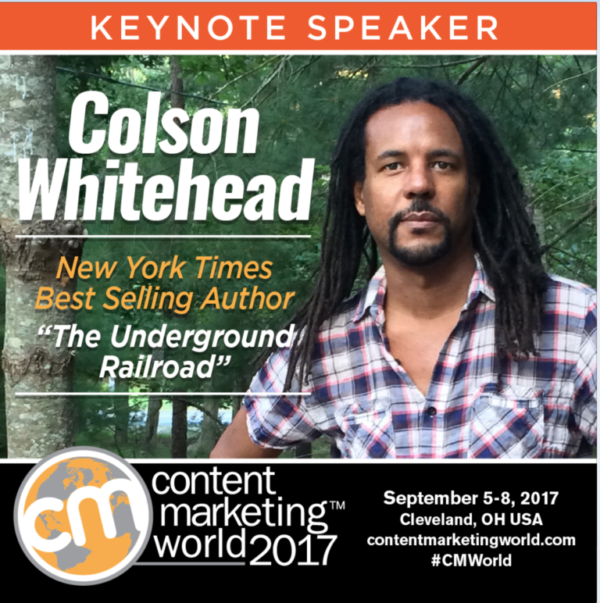 Content Marketing World 2017 – The largest content marketing event in the world returns to Cleveland on September 5–8. This year’s conference will feature over 120 sessions and workshops presented by leading brand marketers, as well as keynote addresses from Pulitzer Prize-winning author Colson Whitehead and YouTube celebrity and storyteller Casey Neistat. 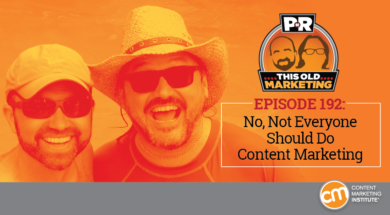 You’ll come away from this event with new insights, tips, and tools that will help you create epically successful content. Our discounted summer registration rates are gone, but you can still use coupon code PNR100 to save $100 on the cost of registration. We want to see you in Cleveland, so register today. (50:09): UBS Unlimited: A listener directed Robert’s attention to a Marketing Week report, which says that the wealth management arm of finance firm UBS is looking to shake up the financial sector with a new content platform. Aimed at serving the needs of a new generation of “purpose-fueled millionaires,” Unlimited serves up valuable, original content in an effort to help its audience redefine what it means to lead a rich life (hint: it’s not always about money). Currently, the site is investing heavily in high-quality video blogs and features interviews with notable thought leaders like Stephen Hawking and Wikipedia founder Jimmy Wales. It’s already earned more than 1 million unique visitors and has engaged over 5 million people on its related social channels. Though the site has only been around for a year, UBS says the plan is to revisit its editorial strategy a few times a year to accommodate emerging areas of interest and ensure that users can navigate the platform whenever and however they prefer. With its flexible editorial plan and a particular focus on female audiences, UBS is an excellent This Old Marketing example that will stand the test of time, Robert believes.